My favourite quilt books are always those where I truly get a sense of the author and their style. 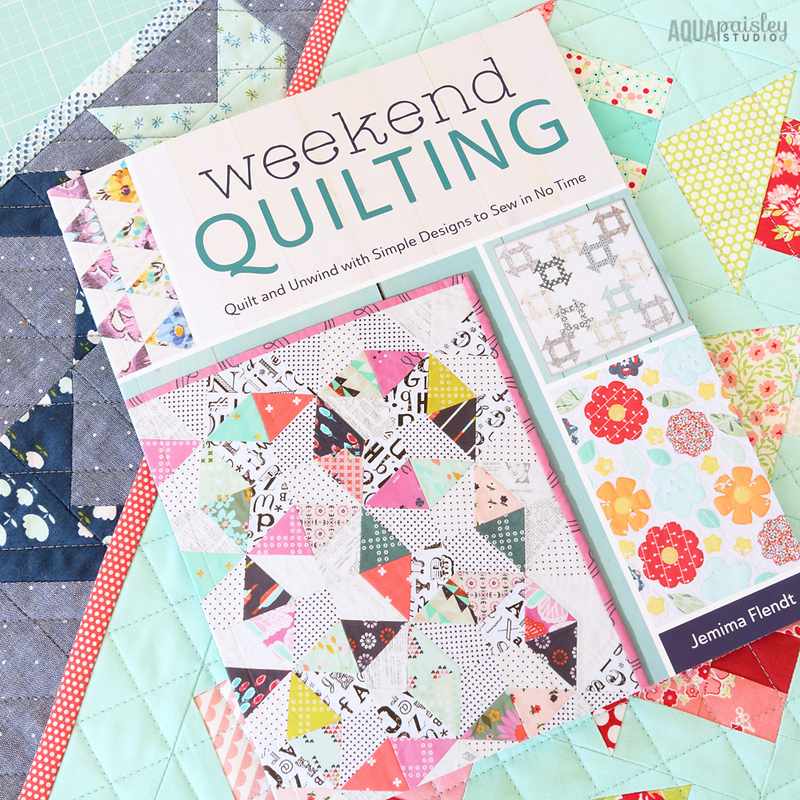 From the first moment I paged through Weekend Quilting – Quilt and Unwind with Simple Designs to Sew in No Time, it was love! The book, by Jemima Flendt of Tied with a Ribbon is abundant with great projects, tips, images and beautiful watercolour diagrams. 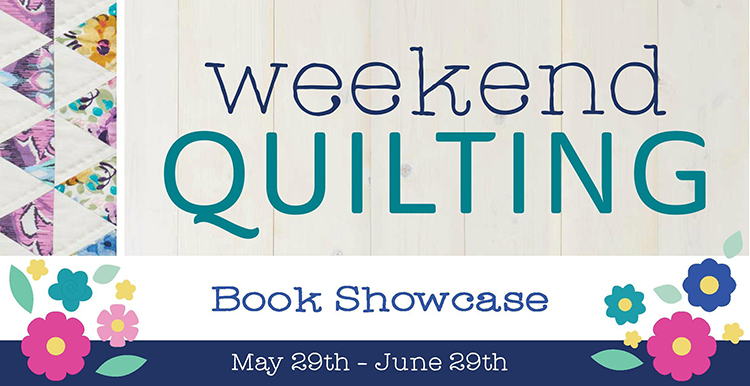 It’s easily a quilting book you can get lost in, dreaming of all the things you want to make. The book contains 16 beautifully designed projects that can be made in just a few days. 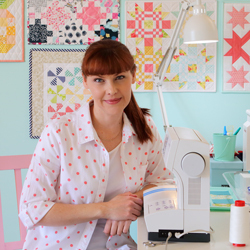 And as the titles suggests, the projects are both simple and quick to create, making them easy and achievable for a new quilter; and the perfect inspiration for the more seasoned quilter who likes to create mini quilts for swaps, or for themselves. Jemima asked me if I would like to make and share a project from her book, and of course I said ‘yes’! The only problem I knew I would face would be deciding on what to make, which seems like a pretty good problem to have!! 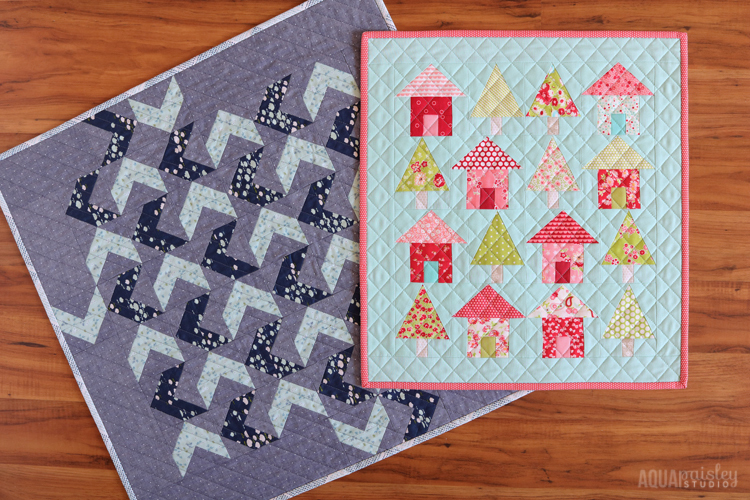 The first project I made from the book was the ‘Duck, Duck, Goose’ mini quilt. There was just something mesmerizing about the overall movement and the simplicity of this quilt, and I knew it would be a stunning addition to my mini quilt collection. In the book, Jemima suggests the use of a Bloc Loc ruler for squaring up the flying geese units. It’s not a necessity, but the pattern is designed so you create oversized units, that then require trimming. 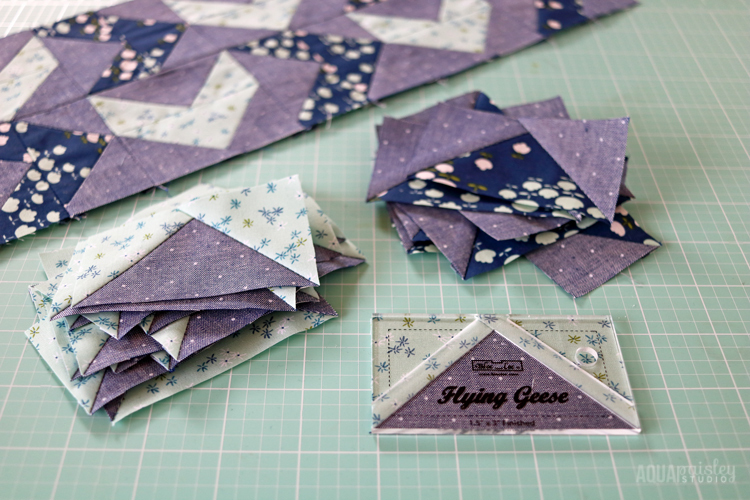 As a matter of process, I always oversize half square triangle units I create, and trim them to size using a Bloc Loc ruler, yet it was not something I had considered doing for flying geese units – so I purchased a ruler, and decided to give it a go! It took me a few tries to be able to navigate the ruler accurately, but I think that was more to do with the fact I was using two different weights of cotton fabric, more than the ruler itself. When it came time to sew the units together, I found that the point where the fabric intersects was ever so slightly below the quarter inch seam allowance, which meant there was no chance I was likely to accidentally lose the point – can’t complain about that ;). Although it requires a bit of extra time to trim each unit, the actual sewing time seemed to me to be much more efficient, as I wasn’t stopping to check my points as I would normally do! Assembling the top was a breeze, and before I knew it I was ready to quilt the top. 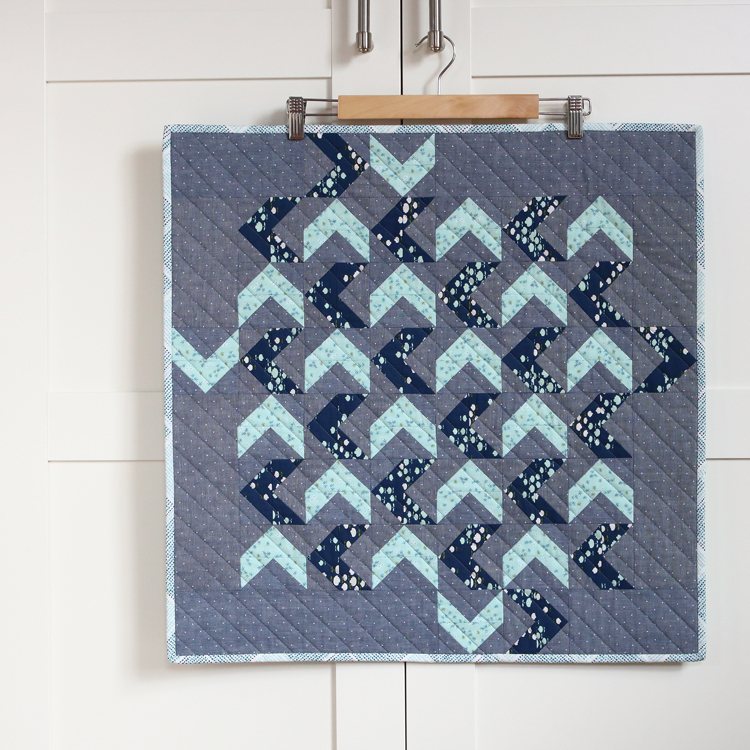 I kept the quilting simple and machine stitched a set of diagonal parallel lines to reinforce the feeling of movement created by the flying geese blocks. In terms of size, this mini quilt is on the larger size which gave me a chance to have fun piecing together some of my larger scraps to create the backing. I did however break one of my own self-imposed quilting ‘rules’; and that is NOT to use a geometric pattern on the back of a quilt that I plan on quilting a geometric design on!! 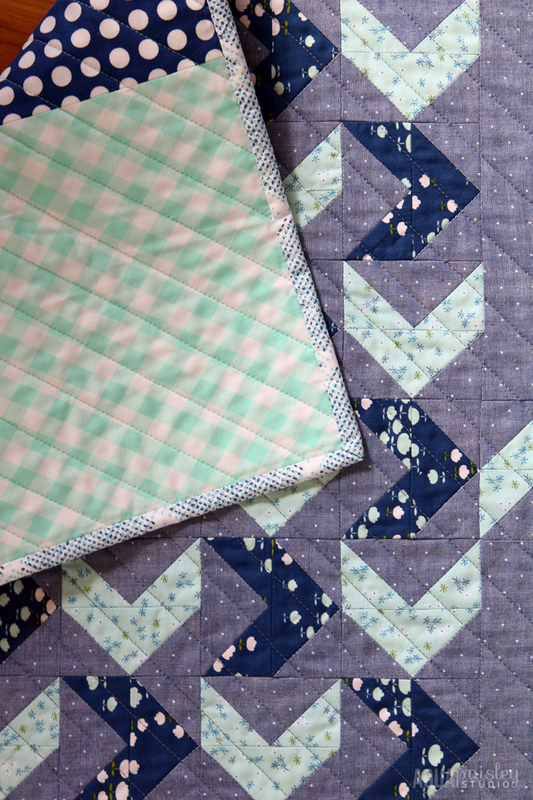 Let’s be honest, it doesn’t look great – using the diagonal gingham with diagonal quilted lines really exaggerates the imperfections in those straight lines, even though they look great from the front! Oh well, lesson reinforced…moving on!! LOL ;). 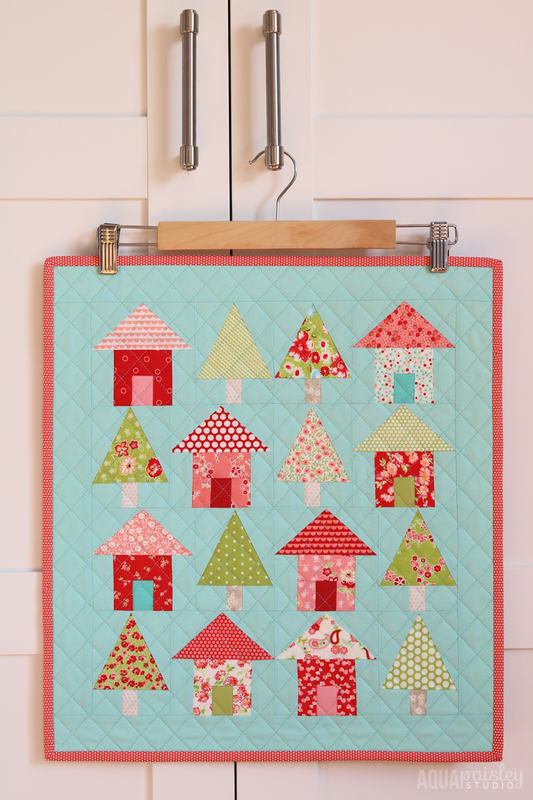 The second project I made was Jemima’s ‘Avenues’ mini quilt. There is something about house blocks that I am drawn to every time!! 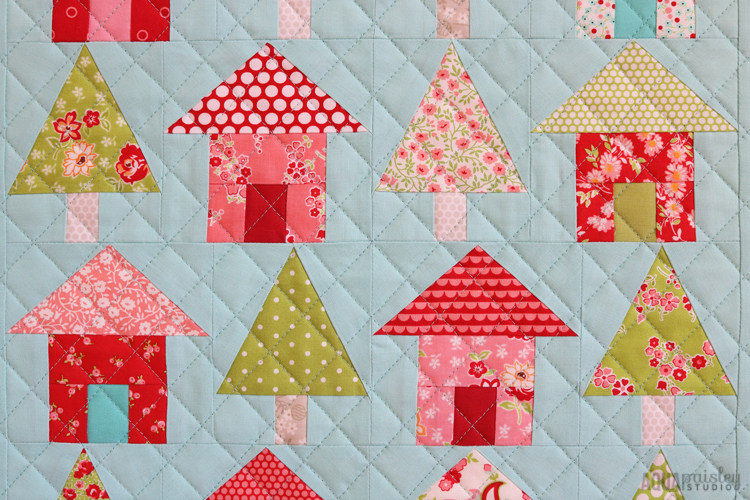 I once heard Pat Sloan talk about creating a ‘quilt series’ to try and discover your own quilt style and hone it better, and since then I have always thought if I were to take up that challenge then I would like to create a series of house block quilts. 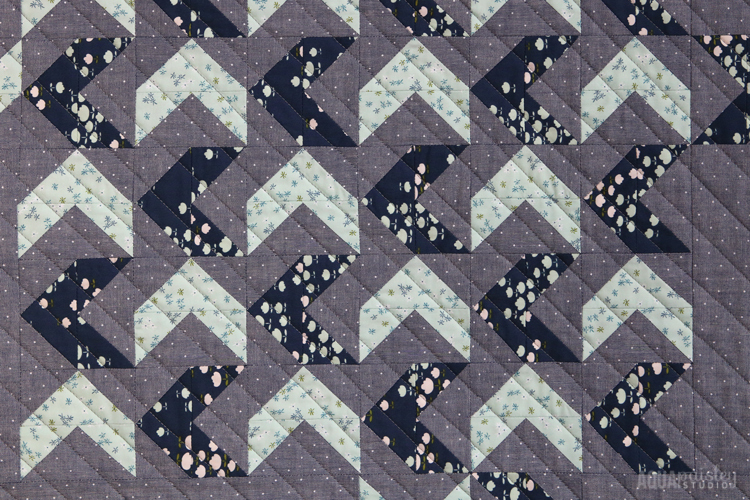 This particular quilt uses foundation paper piecing to create the shapes. If you have never used this technique before then this would be a good pattern to learn something new. Jemima shares her tips for success at the beginning of the chapter, and clearly takes you step by step through making a basic economy block. 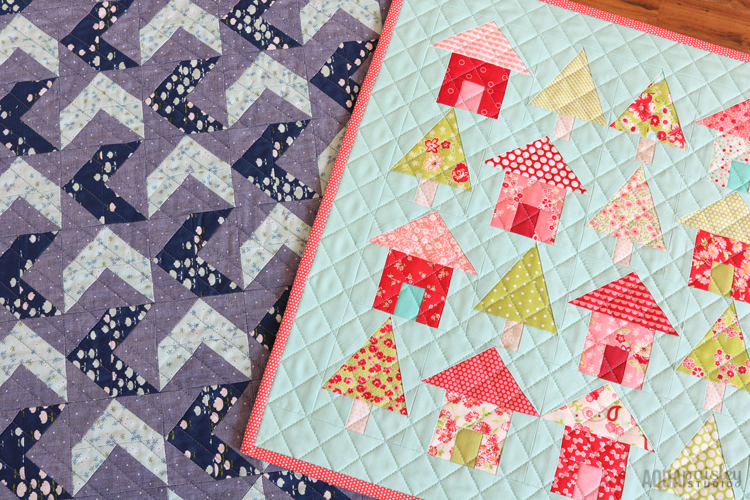 Although there is a little bit of ‘fussy’ work involved in preparing the foundation papers and eventually removing them, I was still able to make this mini quilt over a couple of sewing sessions. Jemima is hosting a giveaway on her blog that runs throughout the showcase. Click on through if you would like a chance at winning a fantastic prize pack. Or if you would like your own copy of the book now, then you can purchase one through Amazon, or if you are in Australia, through Jemima’s shop. A big thank you to Jemima and Fons and Porter for inviting me to participate in the showcase! It was so much fun, and I can see more projects from the book in my future :). I hope you enjoyed this stop on the tour, the glimpse into this cute new book, and the lessons I learnt along the way. If you have learnt something new recently, and you would like to share – I would love to hear about it! Samantha both of these proejcts are just so sweet. Thank you for your kind words about my book and I am so glad you enjoyed making these proejcts. It was wonderful to have you as part of the Showcase. Thank you Ali – they were such a pleasure to make! Love you mini quilt. I think I should invest in one of those rulers too. Haha very confused geese…love the idea ty for sharing…. please!what blue fabric is used for the background?? Hi Lee – the blue background I used is the aqua solid from Moda.